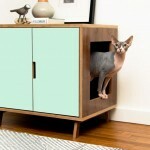 Just like their humans modern cats and dogs enjoy fancy and pretty homes and furniture. 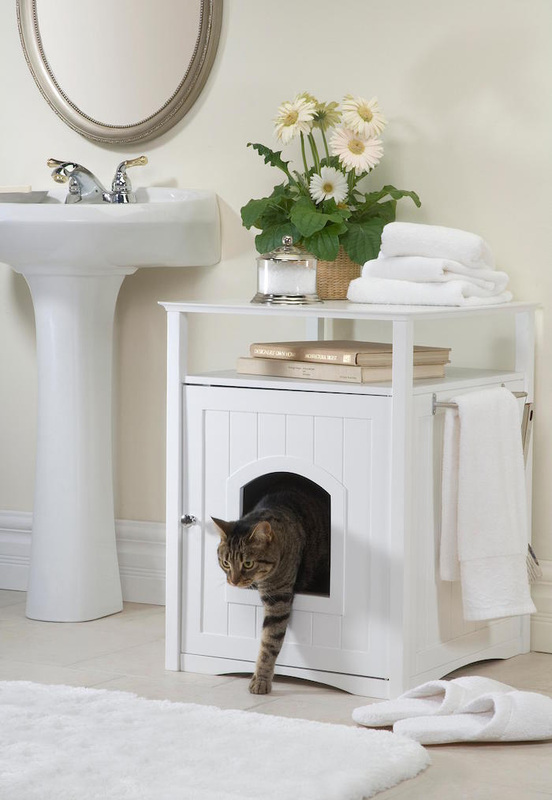 Creative pet house design ideas provide both owners and pets with attractive and cozy private spaces which are practical and pleasing for the eyes. 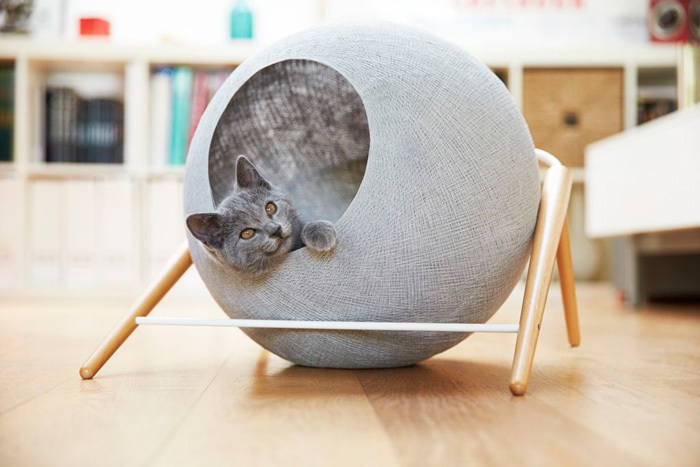 Pet beds, indoor and outdoor houses are a great way to make the life of your pet more comfortable and add an interesting accent in your interior. 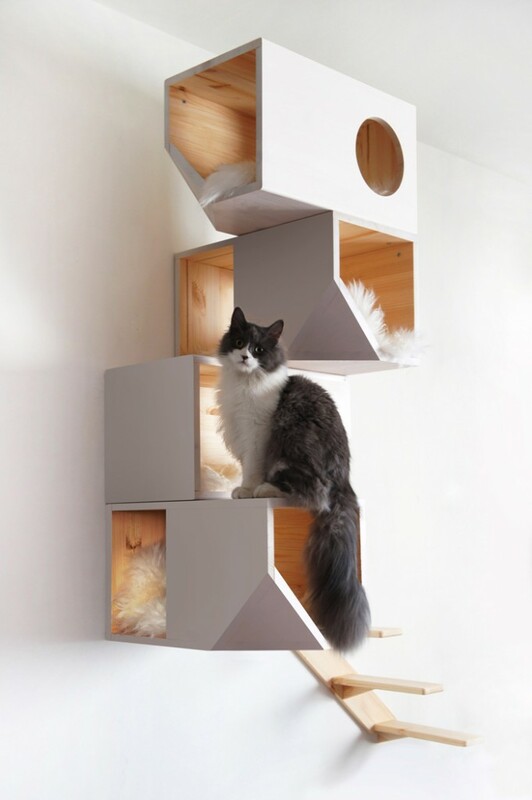 Pet homes are also a fun DIY project for owners who like crafting. 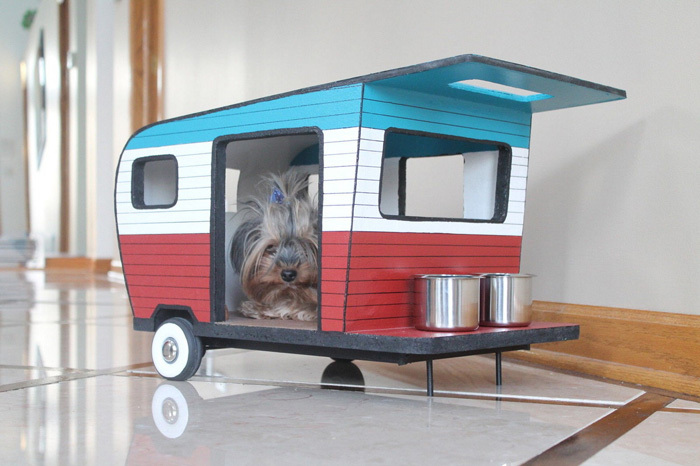 If you have a pet, these ideas are for both of you to enjoy. Cats and dogs love to feel cozy and warm. 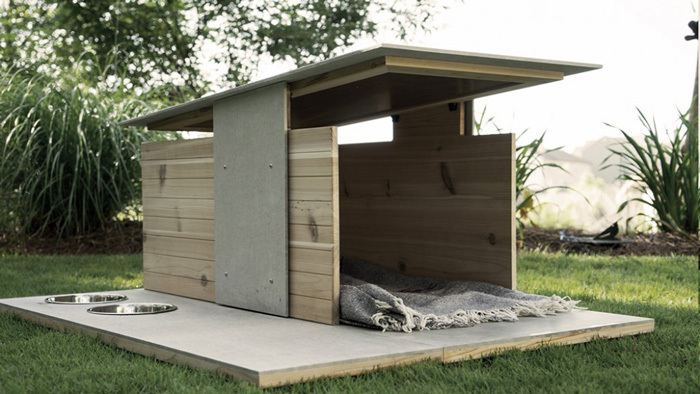 An indoor dog house with cushions is an ideal option for that. 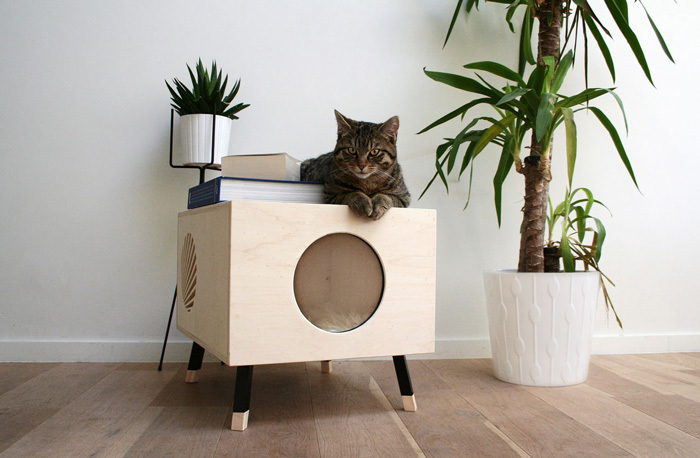 Many pet house designs are easy to make at home with recycled materials such as cardboard, leather, plastic, wood and fabrics. Making cat / dog beds and houses is a lot of fun. 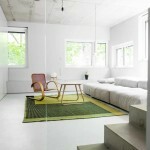 You need very little material to create a nice home for your fella. 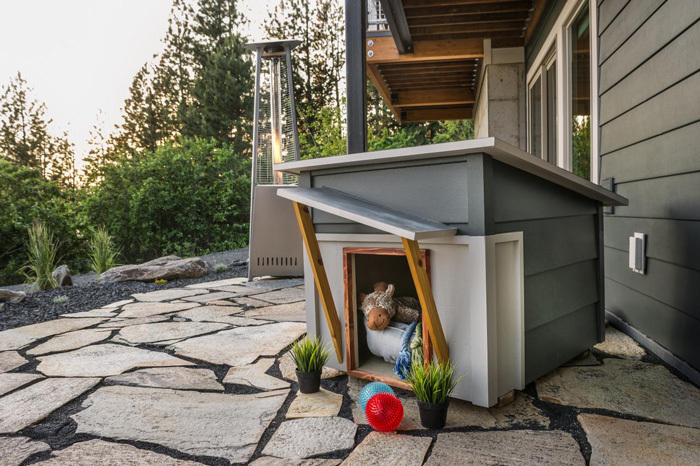 Large dog house designs require more effort and money, but are still a great way to surprise your canine friend. 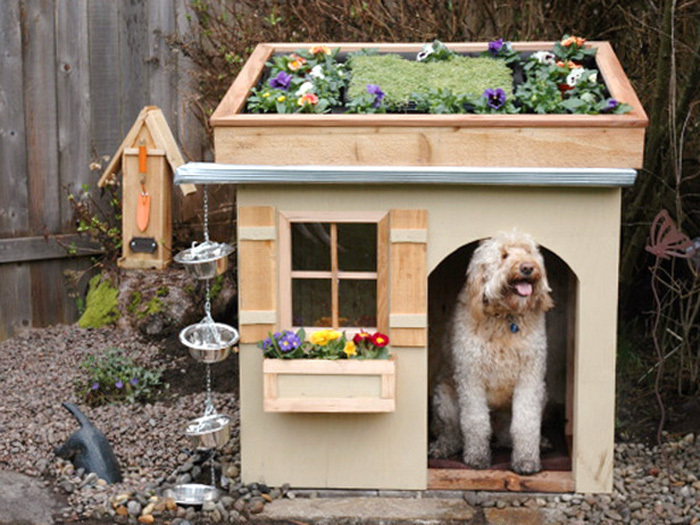 If you decide to create a wooden dog house you will need some skills. 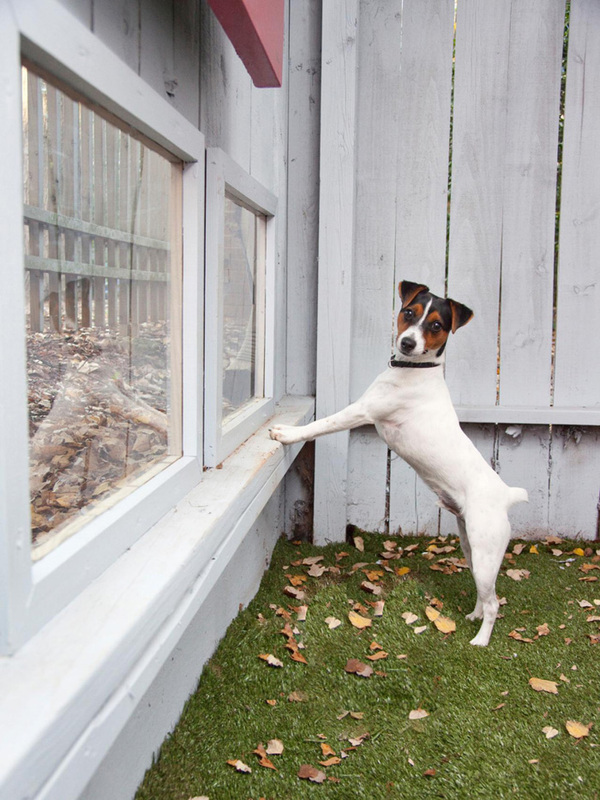 Wood is the best material for an outdoor cat house or a private place for your dog outside. 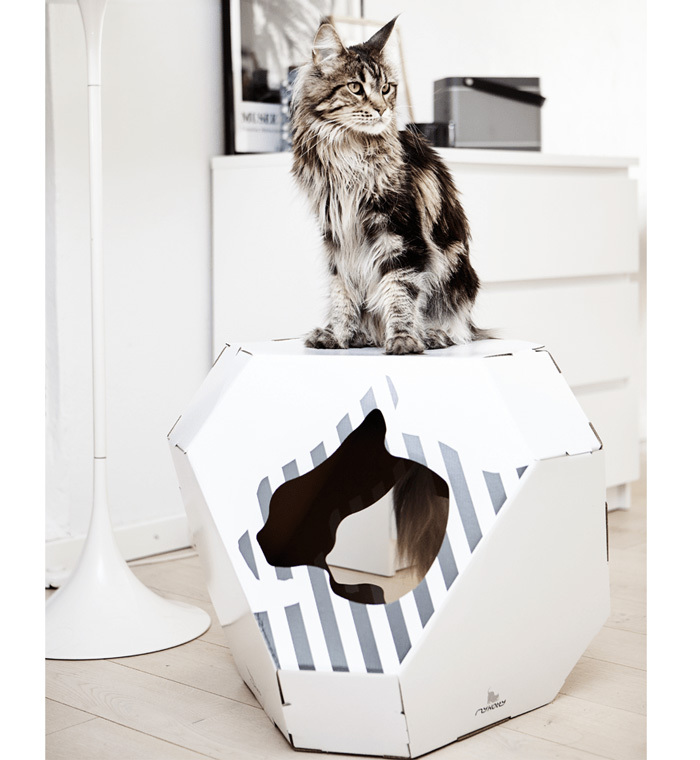 Cats love cardboard boxes and even if they do not fit in them, they love to get in and sleep. 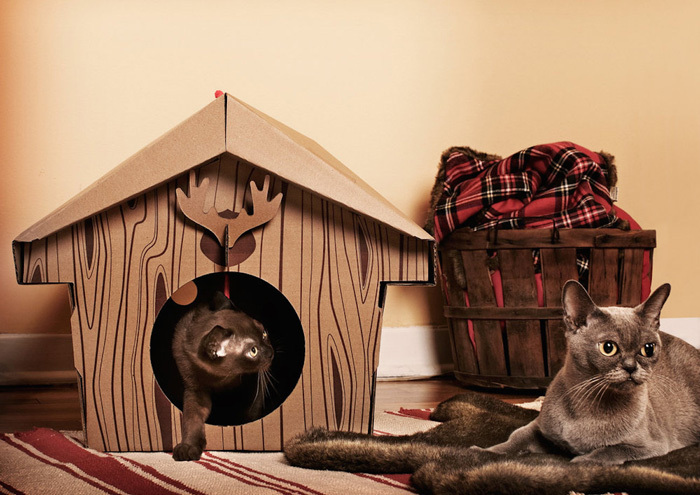 So, it is a great idea to make cat houses out of cardboard. The material is affordable and easy to use for crafting. 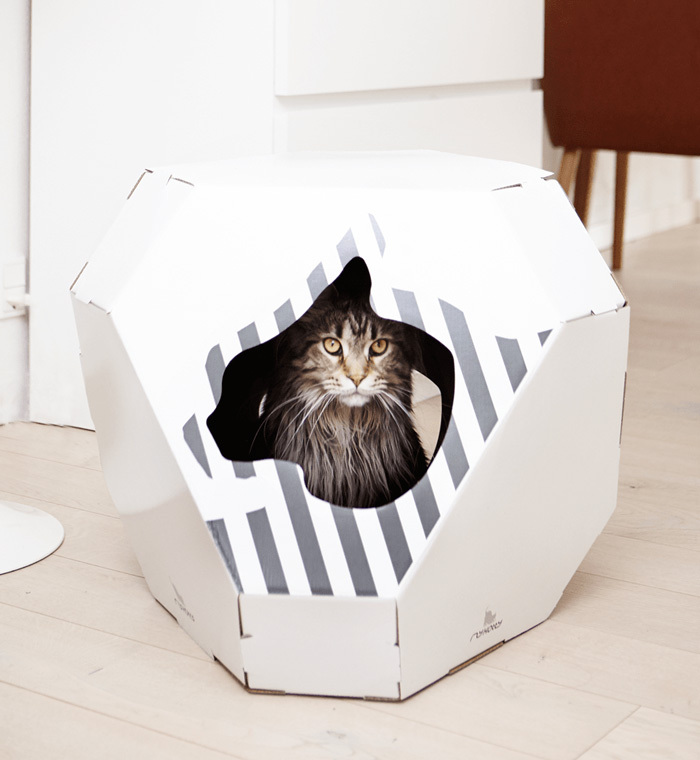 Unusual forms and shapes turn indoor and outdoor dog and cat houses into home decorations. Bright colors and adorable details make the houses look charming. 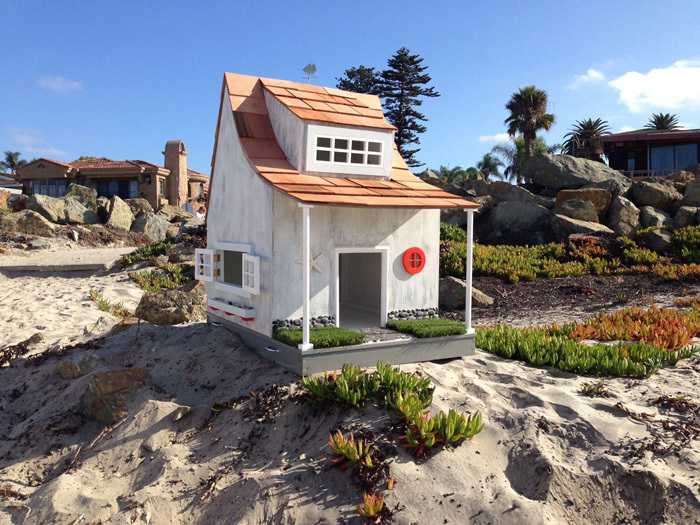 Pet house designs vary in shapes, sizes, materials, colors and styles to match any home and complement existing interior and exterior. 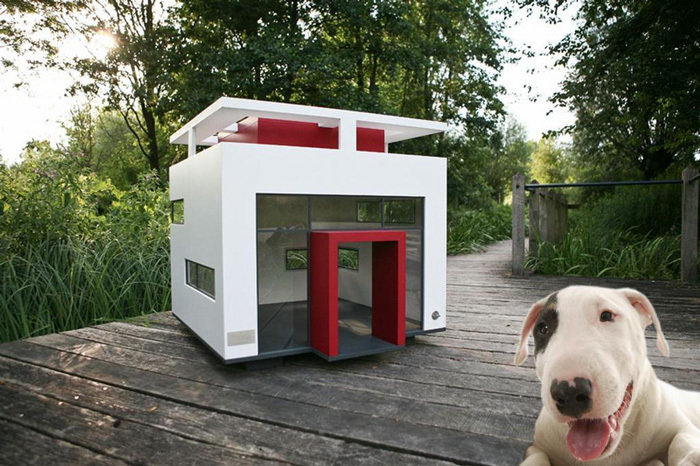 Some pet houses look classy and familiar, others surprise with futuristic look. 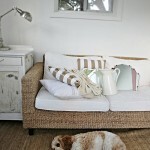 The vintage dog and cat houses are also very cute and beautiful. 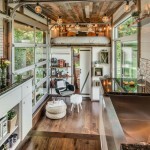 The contemporary options bring a modern vibe and fresh look into any home. 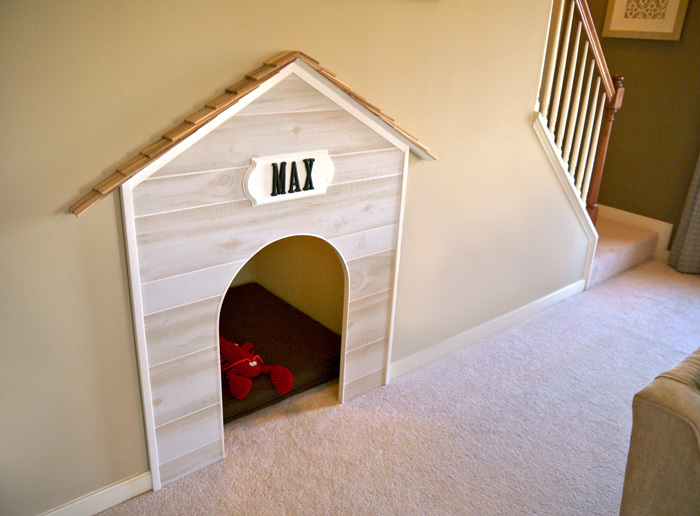 An indoor dog house can easily turn into functional furniture piece. 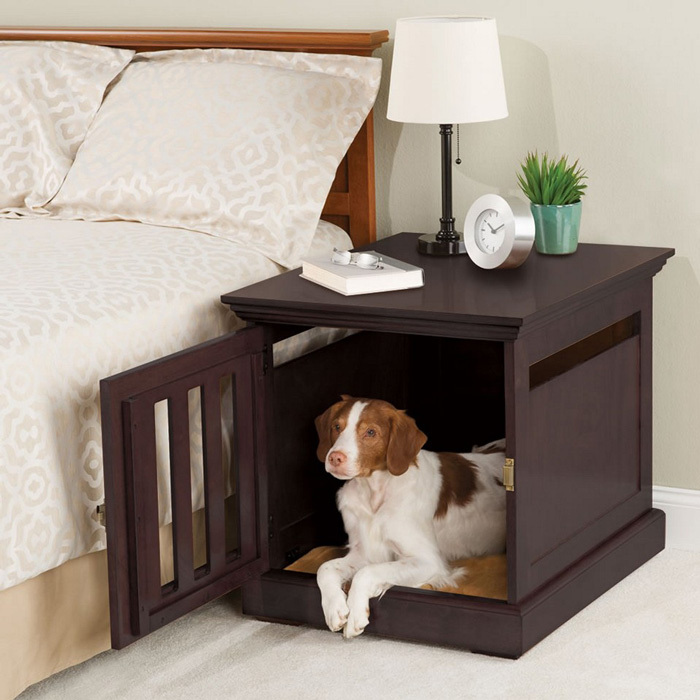 A space saving dog house in the form of an ottoman is perfect for small spaces. 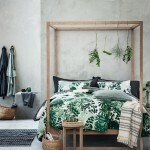 Every pet and their owner will appreciate a bed or a house with attractive design which is also unique, functional, inviting and beautiful. 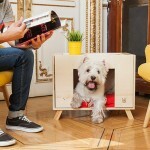 So, make a present for yourself and your pet for the coming holidays and enjoy great time together!